Up 2-0 over the Kiwis now. Sack the coach…no reason,just like the previous coach. I dont know if its anything that sinister. It might just be that the new coach stamps his name on the team by installing his own choice of captain. 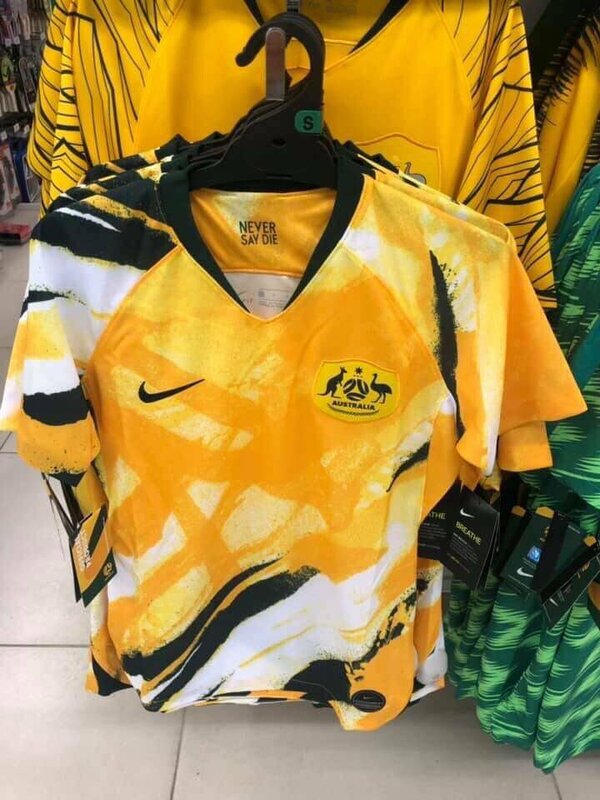 And by own choice, I mean the Fox Caltex FFA Matildas© most marketable female Tim Cahill equivalent player at his disposal. I see a Kerrltex service station in our future. Yeah really weakened. Lots of changes. Milicic has stated that all of the players in the squad will get minutes in this tournament. Understandable, but surely you play your first XI against the better side? Decent free-kick but the wall didn’t jump? Watching the Roar, this game, as well as reading some stats on crowds from the Queensland Roar, the city is absolutely crying out for a 15-20k stadium. With any luck, Ballymore will (finally) be redeveloped. 10-15k at Suncorpse looks absolutely horrible. 2-1 up now. De Vanna ends a long scoring drought for the Matildas. 3-1 now. Sam Kerr benefits from a beautifully guided through ball by one of the South Korean defenders and puts it away. Emily Gielnik with the goal of the night. Absolute cracker from a tight angle. 4-1. 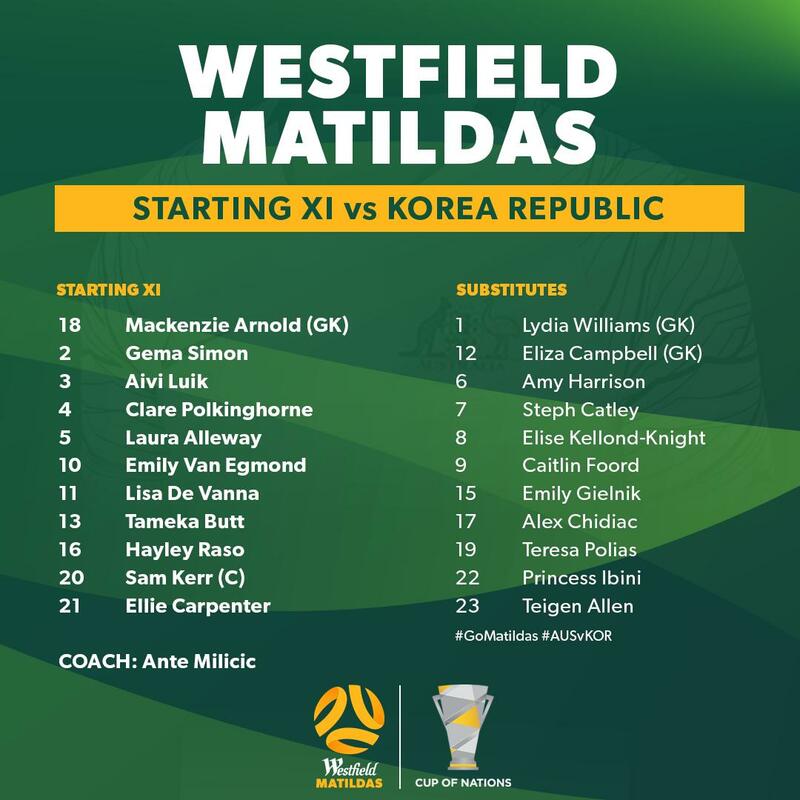 The Matildas have been superb tonight. I was going to say before this that the only thing missing is more goals to reflect their dominance, especially in the second half. Milicic did everything right in those 2 games. I get the feeling he was as suprised as anyone to a degree about the sacking, but hes the man now and we hope for the best. Third game of the cup of nations just kicked off V Argentina. This isn’t going to be the walkover I expected. Argentina have been very good. Some good technique but haven’t taken advantage of their chances while we’ve taken our one chance early on. I have never seen Harrison play in the middle. I always thought she was either a LB or a left winger. 2-0 now. Absolutely dreadful defending from the corner and Kennedy nods it home from a few yards out.